Posted on Monday, November 21st, 2016 in Mana Pools National Park. 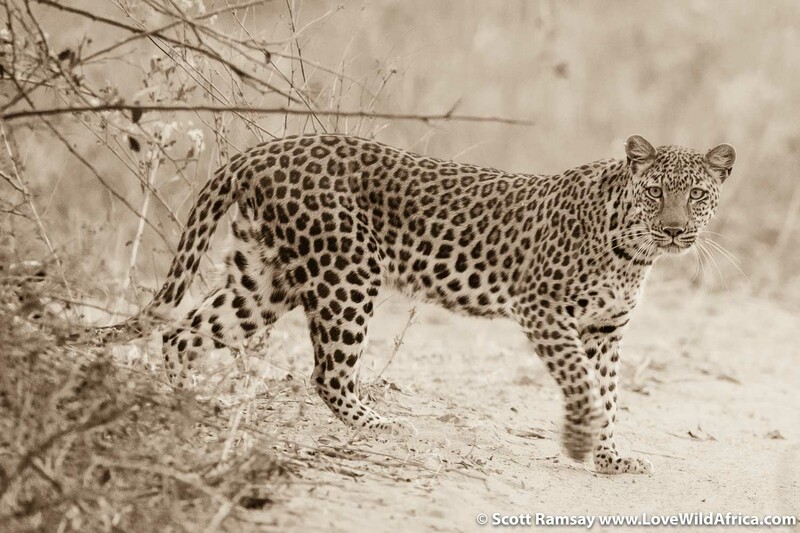 While on a game drive at Little Ruckomechi, I happened to fall in love with a lady leopard of Mana Pools. 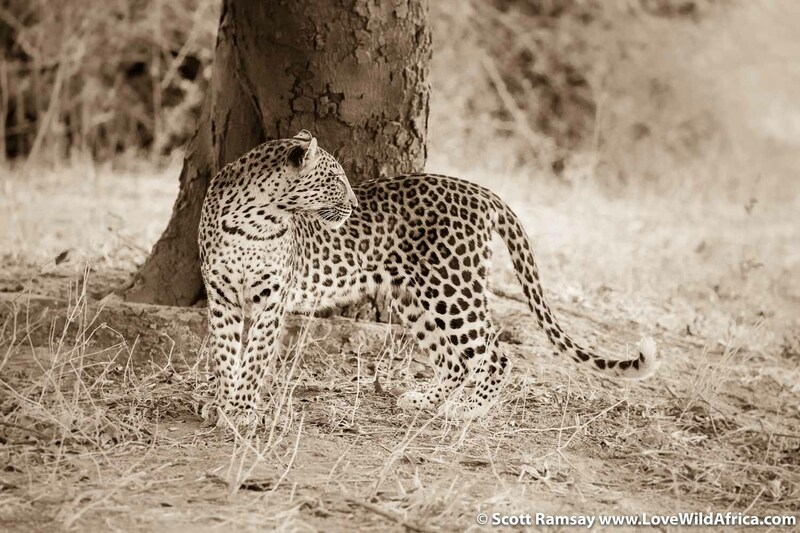 This one had her jaws around the throat of a male impala. Honest saw the skirmish a few hundred metres ahead of us. It all happened so quickly that I couldn’t get any images of the actual attack. She must have launched herself at the impala only a few seconds before we saw the action. We watched from afar, but within seconds, the impala had freed itself from her jaws, and raced off. The leopardess failed to kill it. We drove closer, and watched the predator looking disconsolate. We watched her for about half an hour, as she kept circling our vehicle, checking all the bushes and trees for signs of the impala. But the antelope was long gone. 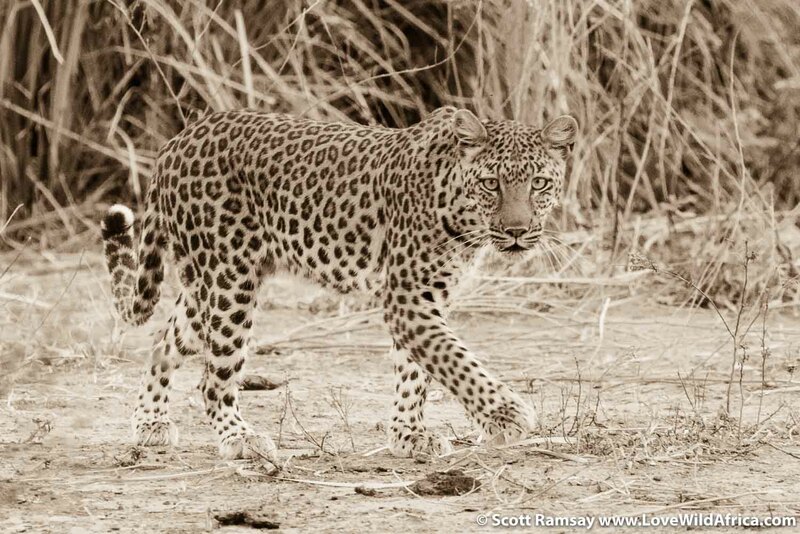 Honest told me that he often sees this particular lady leopard of Mana Pools in the area around Little Ruckomechi. I took all the images below after the sun had set. My ISO was between 2 000 and 5 000 with my Canon 1Dx and 100-400mm Mark 2 lens . Shutter speed was slow at about 1/125th of a second…still happy with the results. When you see her for the first time, you succumb to all the common symptoms of falling in love: increased heart rate, shortness of breath, difficulty of speech and a general fixation on her beauty. 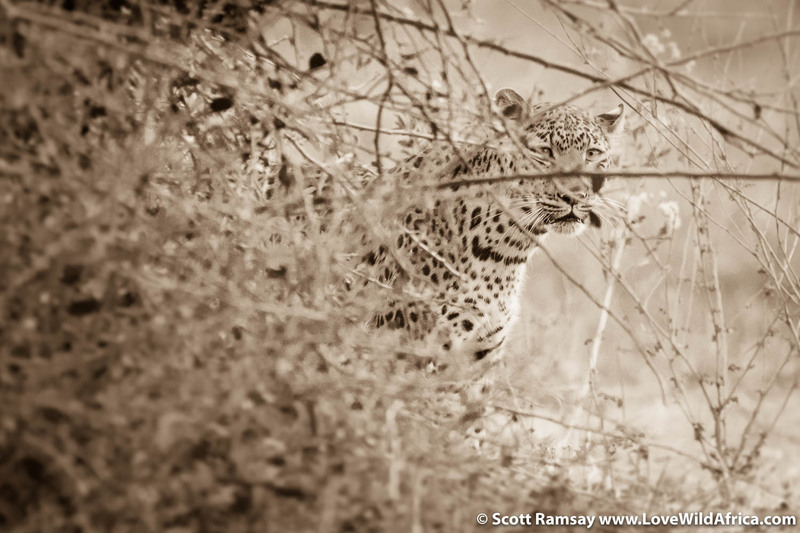 She kept coming back, circling around our vehicle, to see if the impala that she had attacked was still nearby. 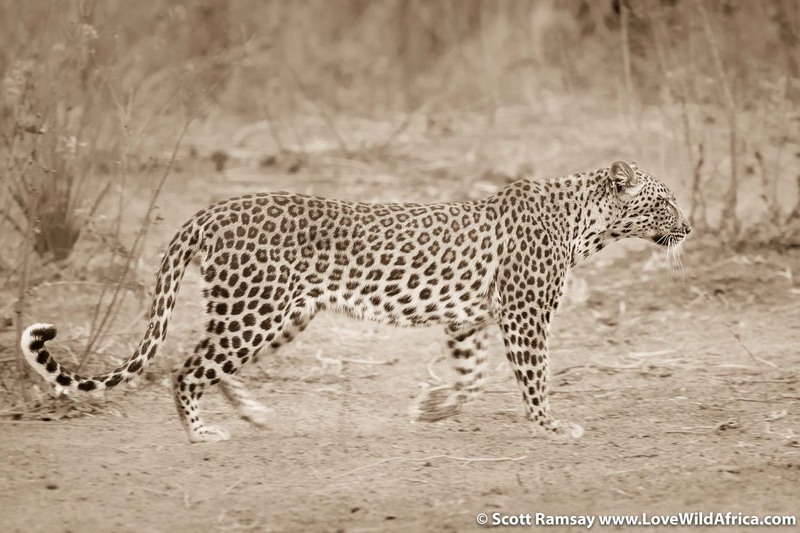 Somehow, I never get tired of seeing leopards in the wild. There’s something else besides their rapacious beauty which speaks to me…not sure what it is, but perhaps its because – like all truly wild animals – they’re just totally themselves, all the time, and no amount of persuasion is going to change them. And did I say they were beautiful? 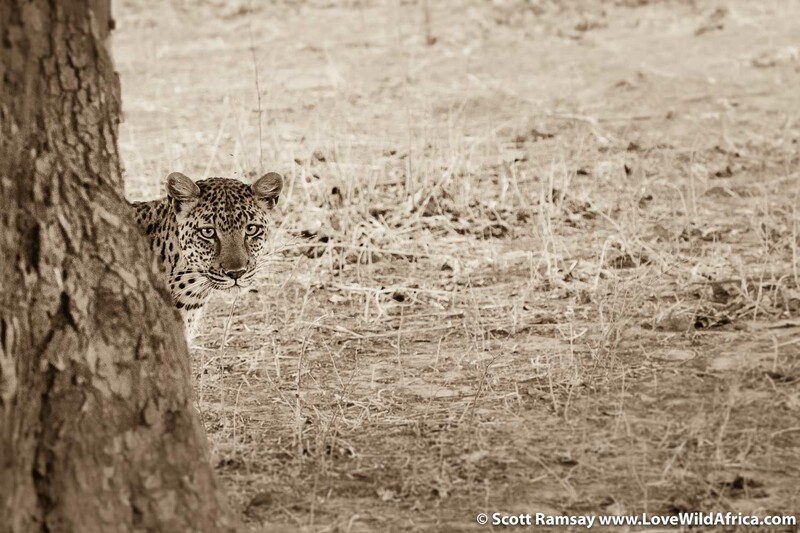 Well, hello there, pretty leopard. Yip, she’s gorgeous, but she’ll rip your throat out if you’re walking through the bush alone in the middle of the night. Femme fatale of note! 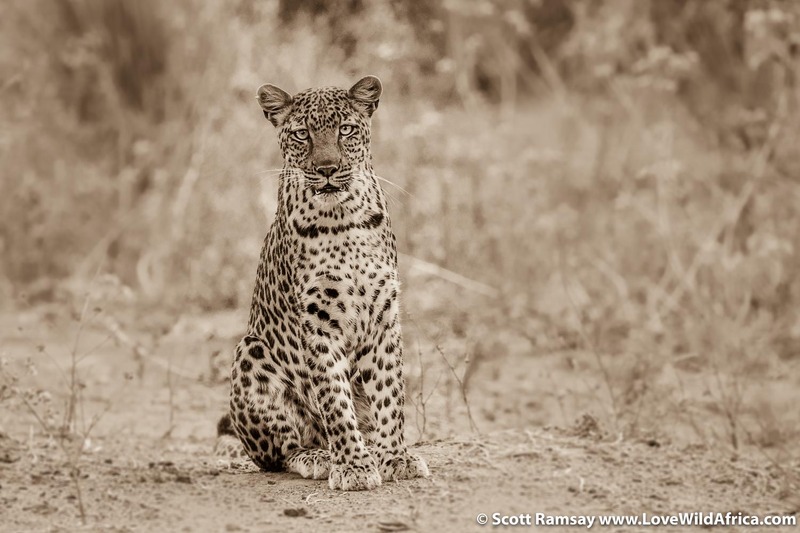 That necklace around her neck…each leopard has a distinctive spot pattern. 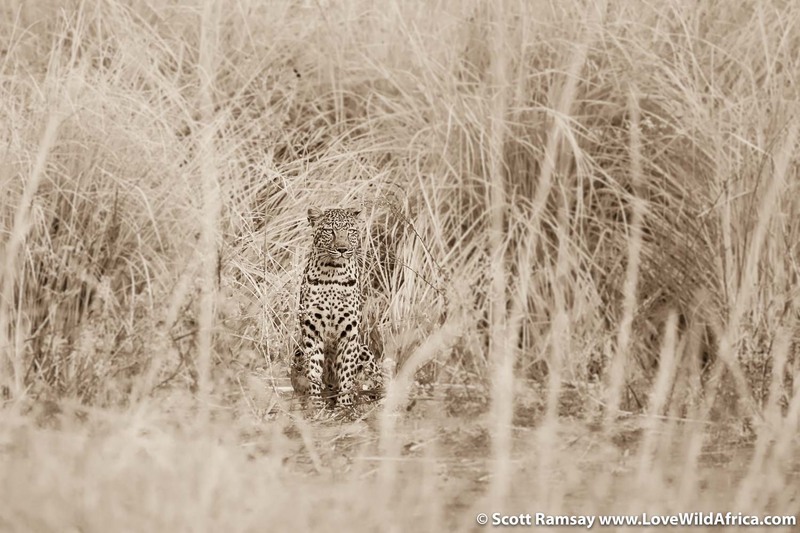 I love this photo…because it says so much about leopards. Introverted yet intelligent, secretive yet bold. Always watching, always the ultimate spy. 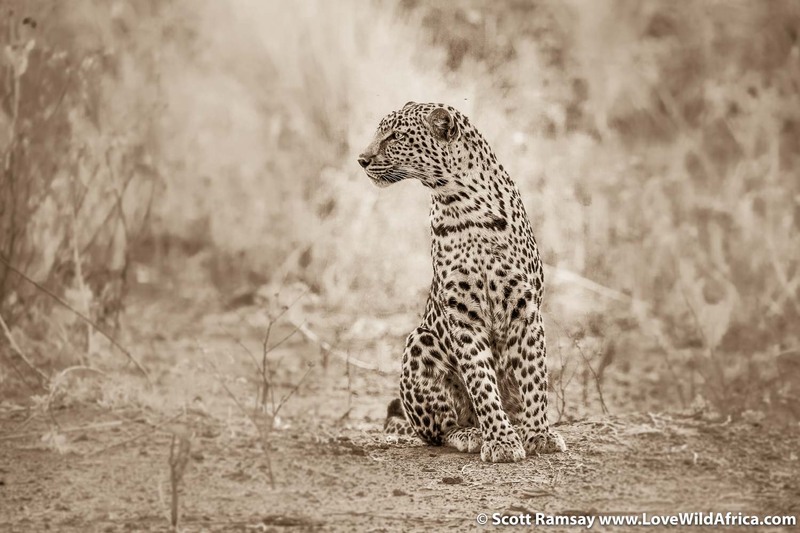 I still wonder how anyone would want to shoot an animal like this…yes, I haven’t ever lost sheep or goats to a hungry leopard, and yes, I’m not a hunter, but still…at what pyschological point does someone decide to pull the trigger? For sure, if this leopard attacked me, then yes, I’d pull the trigger. But if your own life is not endangered, can you justify killing a creature like this?